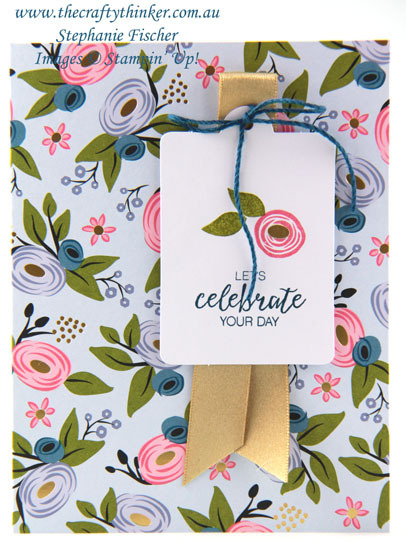 I just love this Perennial Birthday Project Kit! No excuses now for being disorganised or forgetting a birthday! Everything you need is included except adhesives, stamps and inks. 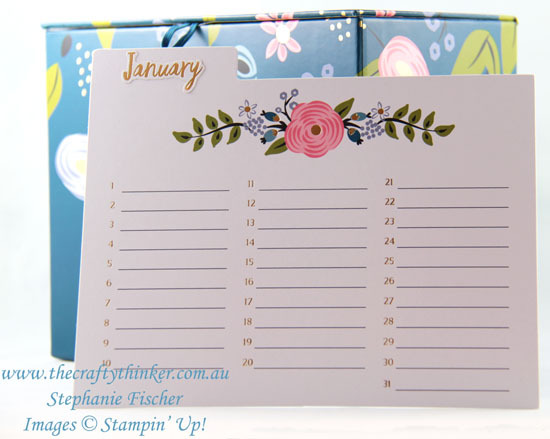 The gorgeous box has 12 of these cards ready printed - all you have to do is apply the month sticker to the tabs. Then there's the makings for 4 cards each of 4 different designs - all of them gorgeous! It wasn't in my budget to purchase the coordinating stamp set (Perennial Birthday) so I had a look through my stash for things to use instead and was very pleased with the outcome. 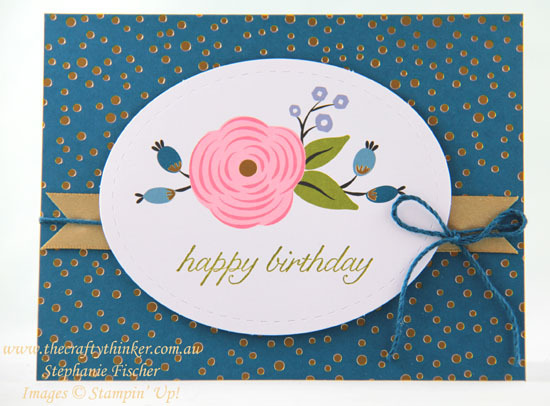 For the next card I used the Swirly Bird stamp set and a greeting from the Bunch of Blossoms stamp set. 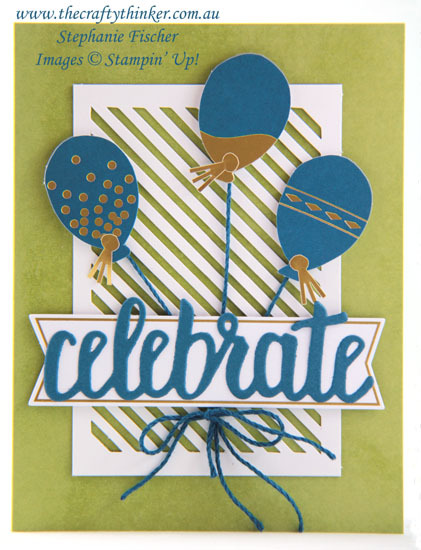 The greeting I stamped on the banner for the next card is from the Birthday Banners stamp set. It's photopolymer so it was easy to manipulate into the shape of the banner. 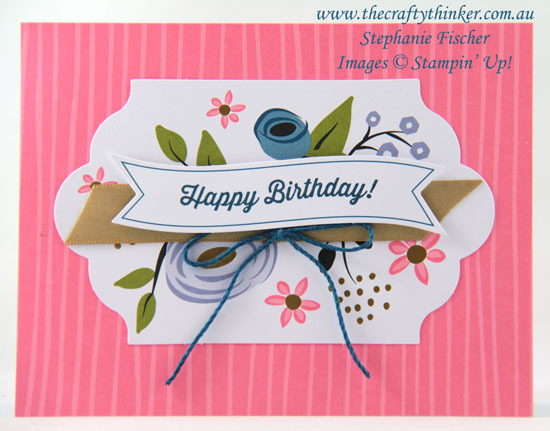 And the greeting for the last card is from the Birthday Blossoms stamp set. Everything is now packed away in this gorgeous box and I simply need to check the month cards regularly to make sure I post the cards on time! 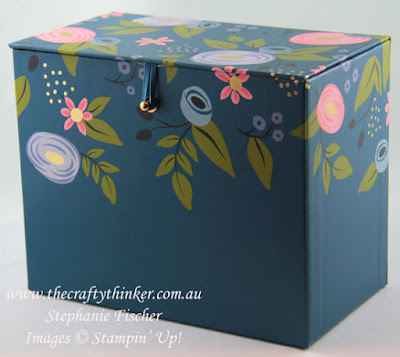 If you'd like to set up your own Perennial Birthday box, click on the image below to shop in my online store (Australian Residents only though, I'm afraid).